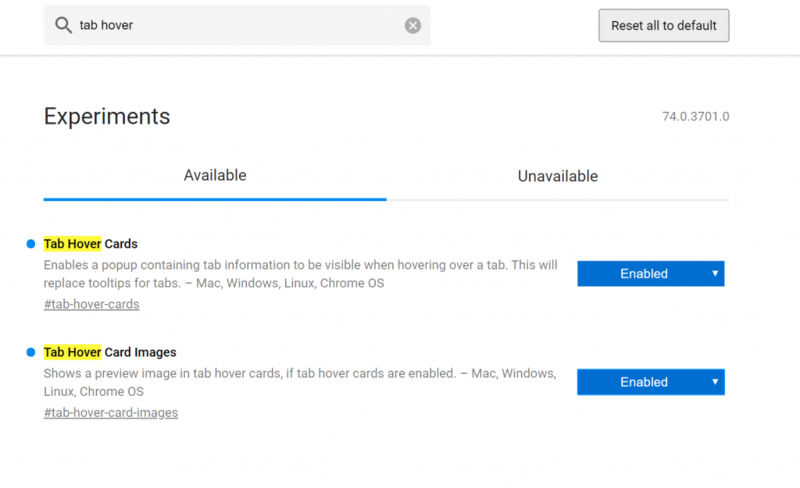 The latest source code of Google Chrome has changed the log to show that the browser plans to add a Tab Hover Cards option, but this feature has not yet released a beta version. This option has been added to browsers such as Opera, Microsoft Microsoft Edge, and Vivaldi Browser. This improvement is good for users who often need to switch back and forth between tabs. You don’t have to constantly click on the corresponding tab to view its contents. Interested users can open the following experimental features in the Google Chrome Canary version, and you can see the preview after the subsequent version fixes the problem.